"Helps you to achieve a reasonable level of conversational ability." Pimsleur has been teaching people to speak foreign languages using their unique teaching method for over four decades. One of the flagship language courses is the Pimsleur German program, which offers instruction for the complete beginner through to the advanced German speaker. In this review I will look at major advantages and disadvantages of this language course. Audio based instruction based on the Pimsleur teaching method. The course is available as either a downloadable MP3 files or physical CDs. 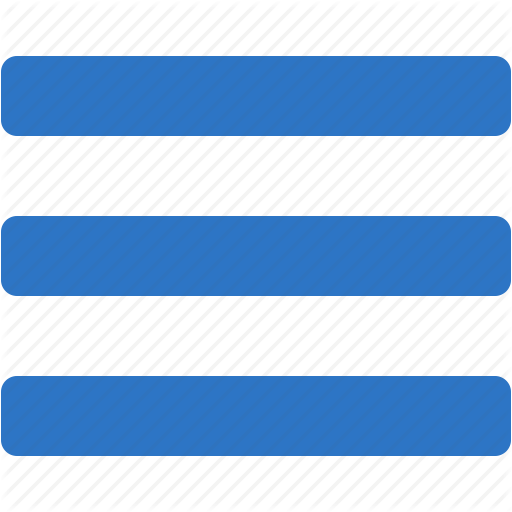 4 levels are available. Level I - III each contain 30 audio units plus reading material. Level IV consists of 10 audio units with complex conversational scenarios. The 4 levels are priced at $345 for the physical CD version and $119.95 for the MP3 version. High Quality Product - One of the main problems many people have with the Pimsleur German course is the high price tag. However the cost of the product is somewhat justified by the production quality of the product. It is obvious that a fair amount of money has been spent on producing the Pimsleur German course. The sound recording is excellent, the course structure is very well thought out and there are four different professional speakers employed in delivering the material. It's Simple and Quick to Use - The Pimsleur courses lack the many features of modern software based language learning packages. However this is also the courses main strength as it is means that it is quick to get started with and does not require complex tutorials. It is also very simple to implement the teaching method as you simply need to listen and then produce the answers when required. The Pimsleur System is Proven to Work - The Pimsleur method uses an organic teaching style which seeks to mimic the way that a child would naturally learn a language. While listening to the course you are forced to produce the language at the prompts. Spaced repetition means that material is reinforced and remembered. This method has been proven to work, even for people who usually find it very difficult to learn new languages. If you follow the Pimsleur German system properly you will find that you can achieve the results that you desire. Perfect for Busy People - Because this is an audio based course you can listen to it wherever is convenient. Note that the best results are delivered when you can produce the answers by speaking out loud and so you may want to use the course where you have some privacy such as in your car or at home. Also Pimsleur recommends that you only attempt a section of the course each day and so you are not required to commit to lengthy learning sessions. Level IV is Largely a Waste of Money - While the first three levels of Pimsleur German are very good, the fourth level is largely a waste of money. It adds almost nothing in terms of grammar and vocabulary. At a cost of several hundred dollars the inclusion of this course is disappointing. Does not Produce Conversational Fluency - One of the major claims made by Pimsleur is that after completing the course you will gain conversational fluency. If you do use the first three levels of Pimsleur German you can achieve a working ability in the language but this is not the same as fluency. To achieve that you need to fully immerse yourself in the language. While this is not a major issue it is important to have realistic expectations of what you will achieve with the course. Pimsleur German is Very Expensive - One of the biggest disadvantages to purchasing Pimsleur German is the cost. A single level of the course costs $345 and there are four different levels that can be purchased. If you were to buy the entire four levels on CD you could end up spending over $1000. As you can see in my comparison here, Rocket German Premium is priced at $99.95, Rosetta Stone German costs $309 for all four levels of its program and the complete four levels of Fluenz German is $398. These are all excellent software based German language learning programs with many additional features such as progress tracking, quizzes and games, online social interaction and video tutorials that Pimsleur German does not include. The audio lessons make it an (especially) convenient course for on the road. Uses a Pimsleur approach method called "Spaced Repetition". Simple to use and doesn't require reading lots of manuals before using it. Level IV adds no value to the course. Many people who have struggled with learning conversational German in the past state that they have achieved good results with Pimsleur German. The Pimsleur approach is unique and because of its organic teaching methods does not require any rote learning. Pimsleur German is also one the company's most comprehensive offerings with four levels of material for you to choose from. This means that you can achieve a reasonably high level of conversational ability without requiring any other language learning material. If you do decide that you are interested in trying the Pimsleur approach, I recommend that you first use the free lesson provided on their website. This will give you a feel for the style of instruction offered by Pimsleur and you will be able to see if it is right for you. Given the cost involved with this method you want to make sure that you like this style before committing to purchasing the full course. Also be aware that most people find that level IV of Pimsleur German is unnecessary and so you can reduce your total purchase price by not buying this course. 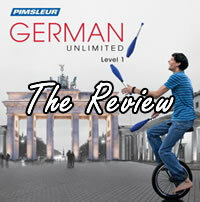 As I have noted in this review the main drawback to trying the Pimsleur German language course is the price. Given the extensive range of competition in the German language market it is difficult to justify the several hundred dollars that a single level of Pimsleur German costs. However if you have failed to achieve the results that you desire with other language courses or you simply prefer the Pimsleur style of teaching, then you may want to invest in this high quality language course.